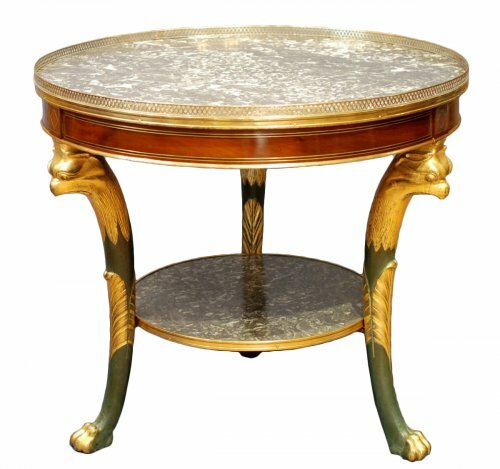 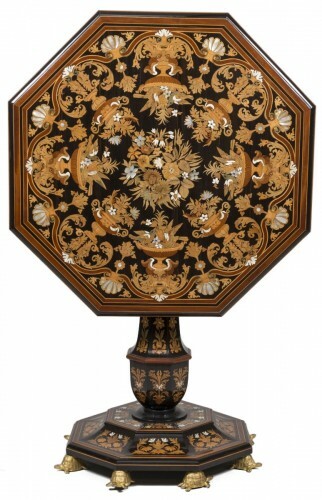 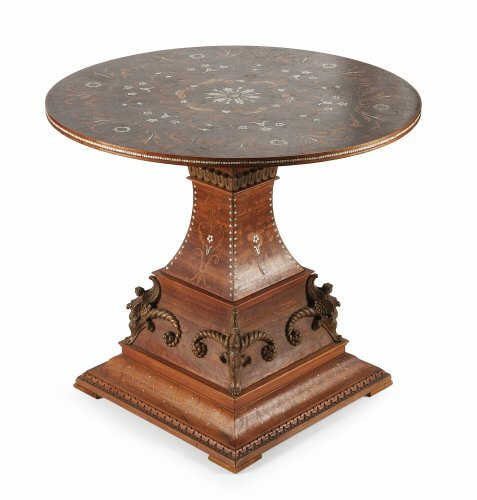 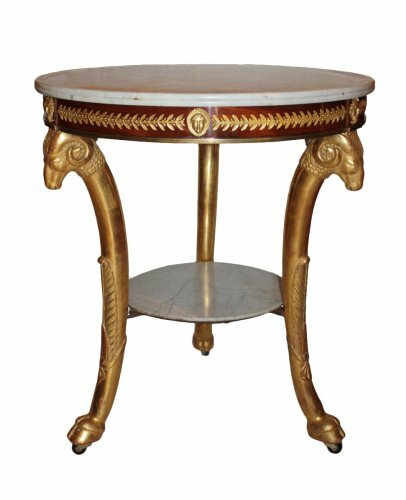 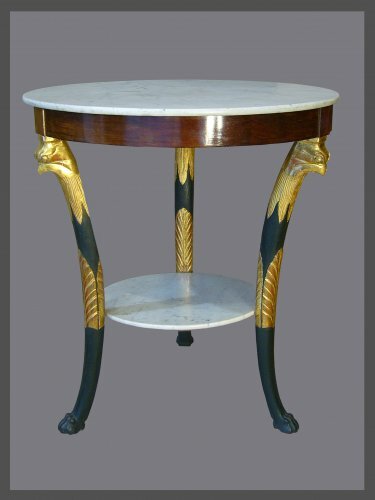 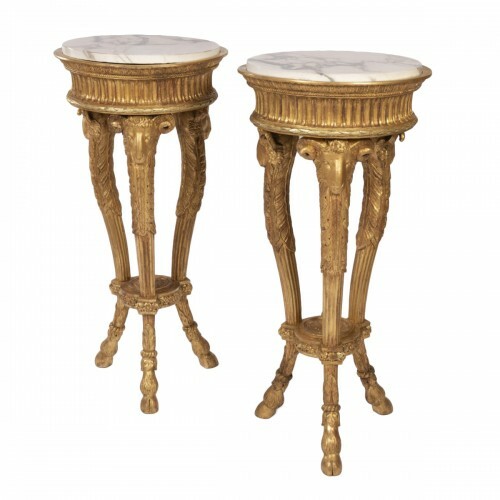 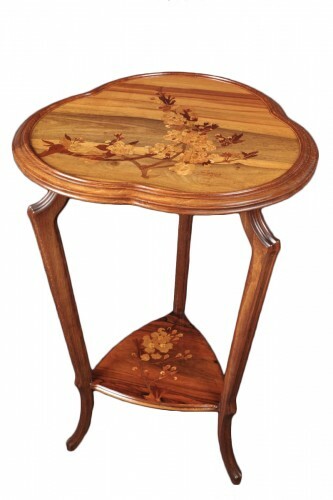 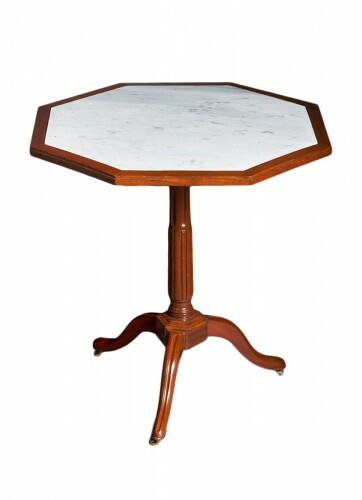 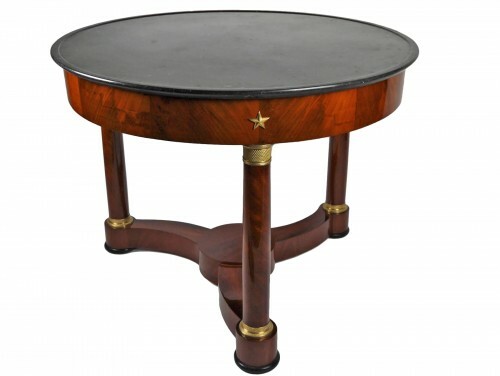 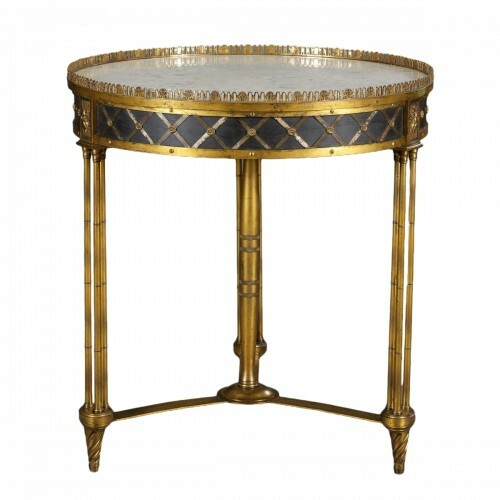 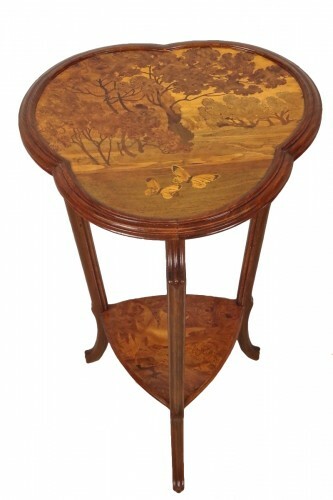 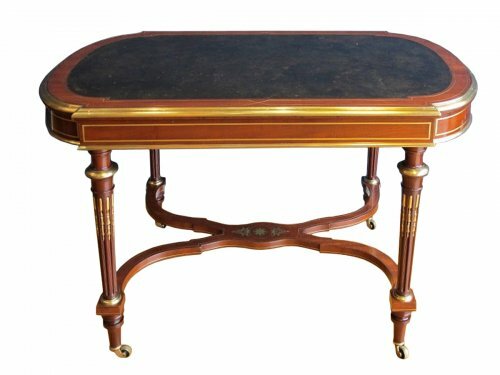 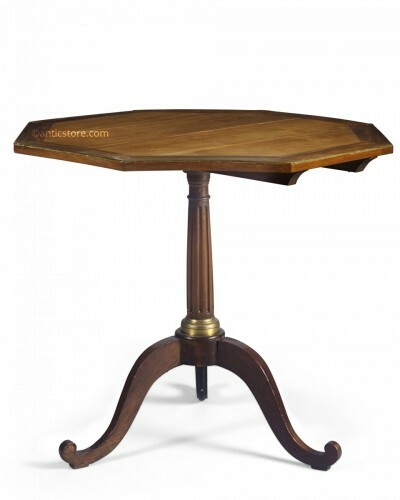 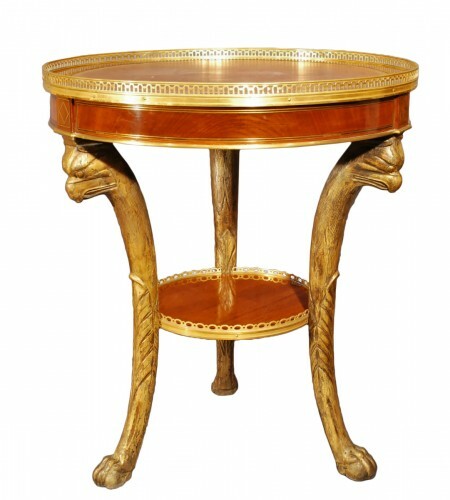 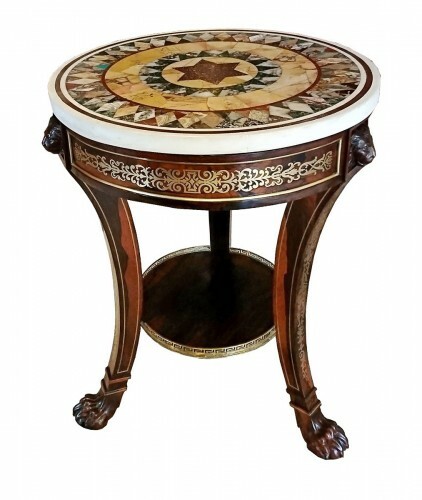 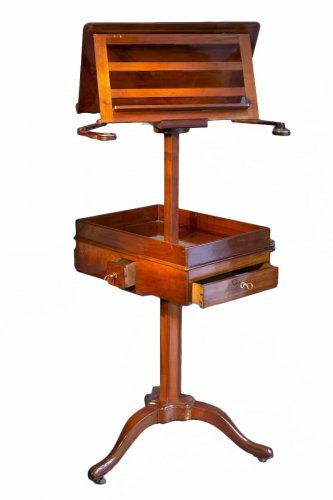 A small Empire Gueridon "aux Têtes de Bélier"
The pedestal table is a meuble d'appoint that is emblematic of the eighteenth and nineteenth centuries. 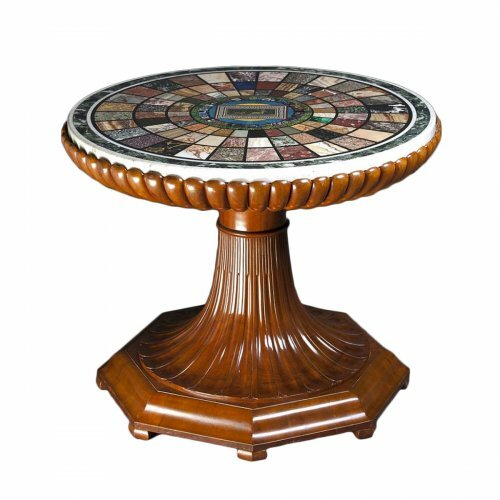 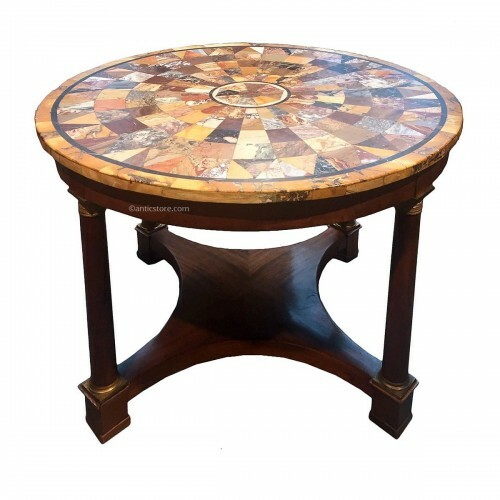 Designed to furnish the dining room and living room, this small table could be used for a variety of purposes: it could be used for drinks, food, as a desk, or a game table. 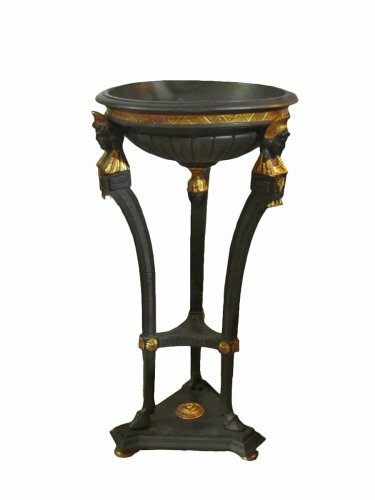 This piece of furniture then became a wine-cooling table, a pedestal table for glasses of water, a tea table, a dining table, a worktable, a dinner service table, a dumb waiter, or a game table. 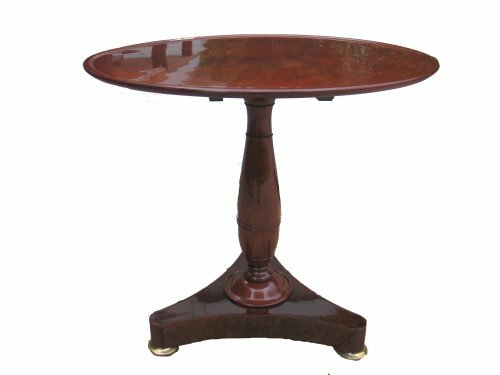 This meant that it could have a fixed or tilt-top, which was in moulded marble or wood, and round or octagonal in shape. 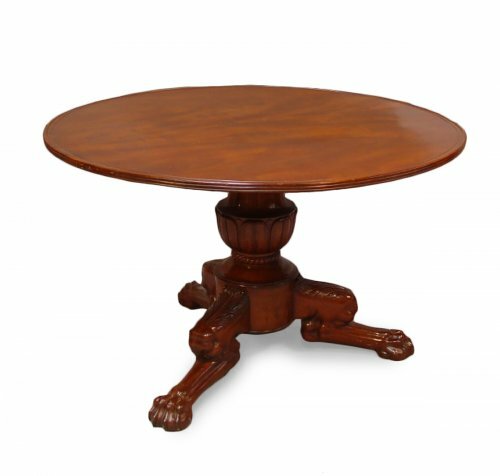 Its legs took various forms: a central leg on a rectangular base, a central pillar that extended into three lion legs with claw feet or square-shaped legs, or 3 or 4 caryatid legs on a solid base. 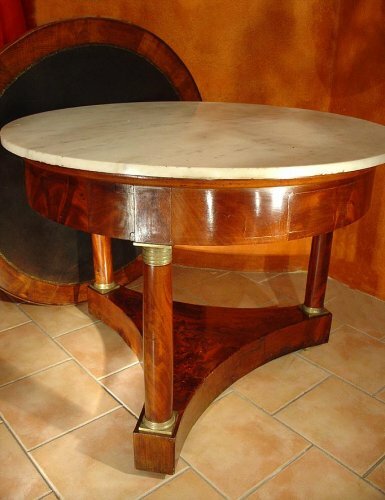 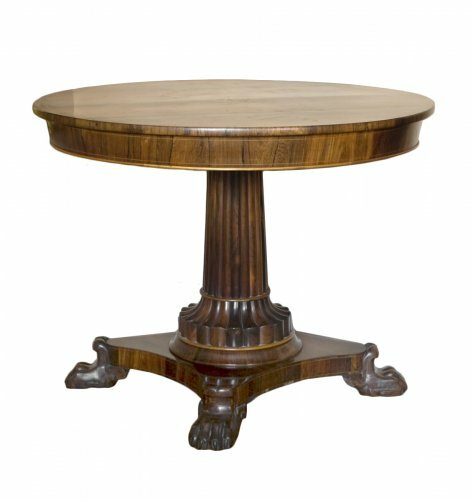 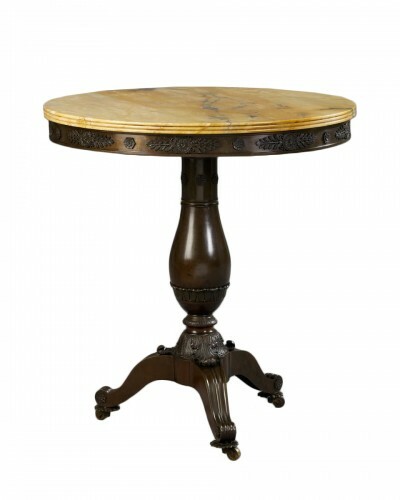 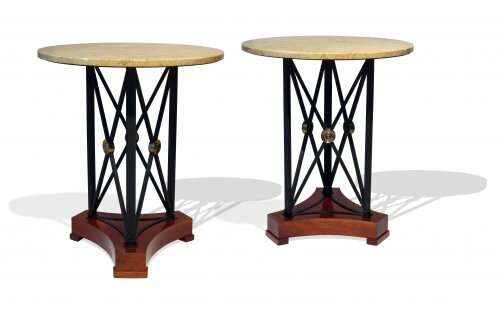 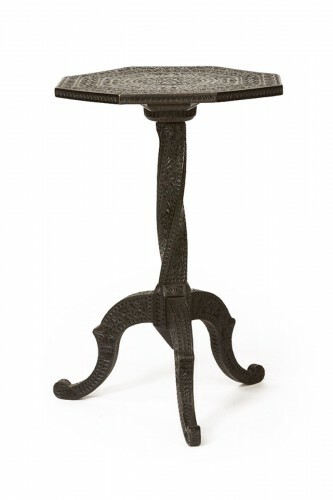 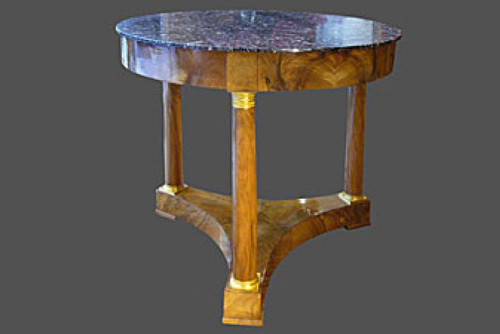 But the base that remains characteristic of the pedestal table is the central column with a tripod base (3 legs). 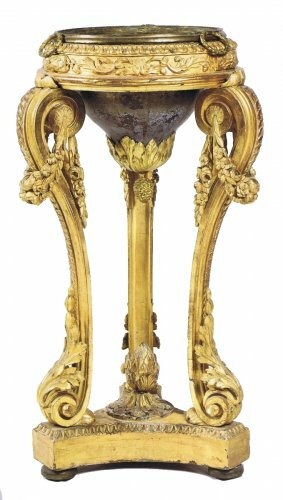 Some Louis XVI models are enhanced with a bras de lumière or candleholder.